This tremendous hard-boiled action thriller from Zulu director Cy Endfield features memorable performances from both Stanley Baker and Patrick McGoohan as rival drivers for a ruthless road-haulage company. An outstanding cast includes Herbert Lom, Peggy Cummins, William Hartnell, Sid James, Gordon Jackson and Wilfrid Lawson, with early appearances from Sean Connery and David McCallum. 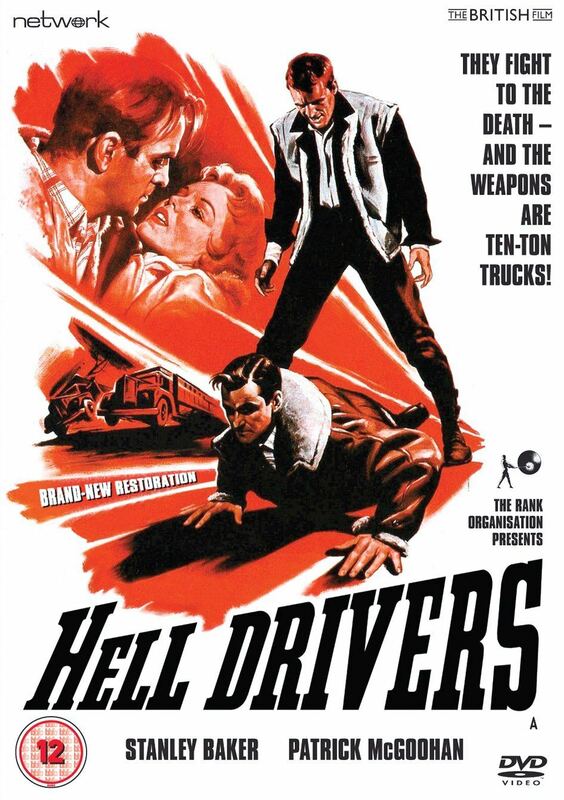 Hell Drivers is featured here in a stunning new restoration from the original film elements, in its as-exhibited aspect ratio. When ex-con Tom Yately signs up as a driver for Hawlett’s, he uncovers shady dealings between the manager and the viciously ambitious head driver. The drivers are paid per trip, with a bonus system encouraging them to drive at reckless speeds and take dangerous risks. The stakes are raised when a fatal accident claims the life of Tom’s only workplace ally, and he vows to take revenge.